Microsoft has pushed against all odds to continue producing systems in the Surface line, and it’s finally paid off with the fourth generation of the Pro 2-in-1. 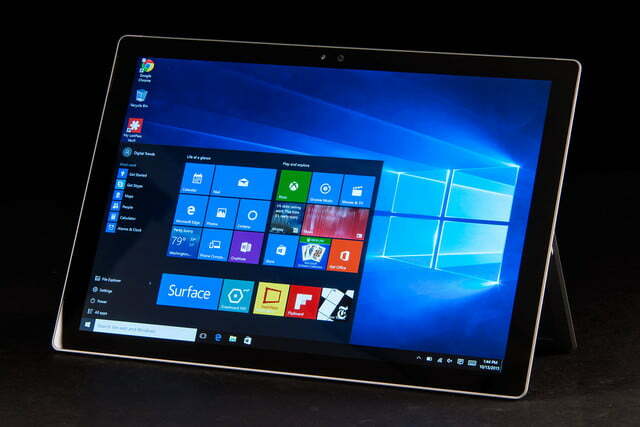 The Surface Pro 4 features a selection of Sixth-Generation Intel chips, plenty of storage, and a high-resolution touch display with stylus support. 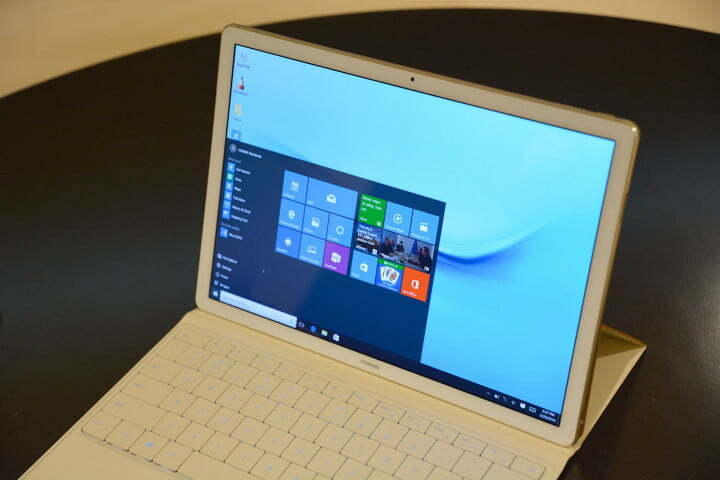 But a challenger has appeared in the form of the Huawei MateBook. 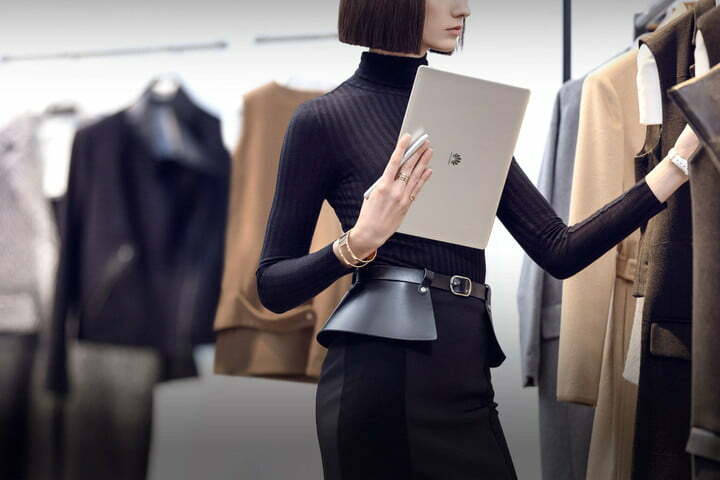 This long-rumored Windows 10 tablet looks like an iPad Pro, but is much closer to the Surface line in terms of components and, of course, its use of the full Windows 10 operating system. 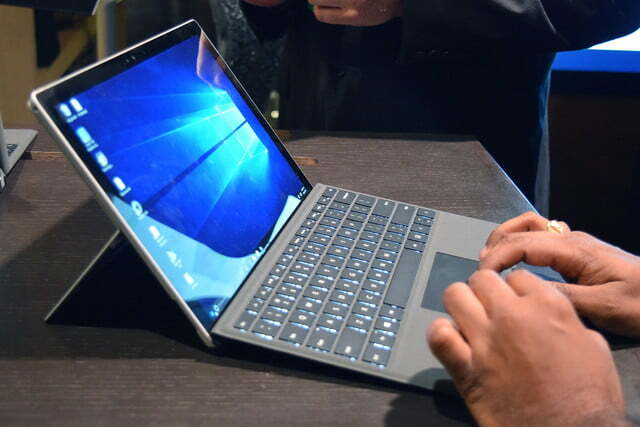 We’ve only had brief hands-on time with the new offering, but are intimately familiar with the Surface Pro 4. Can the newcomer dethrone Microsoft’s favorite son, or is just another face getting lost in the crowd? While it isn’t explicitly stated which CPU is in the MateBook, it’s listed as a Sixth-generation Core m, with two cores and a 3.1GHz maximum clock speed. That means it’s almost certainly powered by a Core m7-6Y75, the top end of the core M lineup, which should provide a decent balance of performance and power efficiency. That being said, the i5-6300U in our Surface Pro 4 review unit already boasts an impressive six and a half hours of tested battery life. The base model of the Surface Pro 4 includes a Core m3 chip if portability is even more important, but performance is likely to suffer as a result. Before you scoff at anything that isn’t at least a Core i3, the Sixth Generation has improved massively, to the point that computing editor Matt Smith took an m3-powered Asus UX305 to CES as his main laptop. Moving down the line, the two systems offer remarkably similar internals, although the Surface Pro 4 usually offers upgrades that are a step higher than the Huawei. Both devices offer 128, 256, or 512GB SSDs, but the Surface also offers a 1TB drive, albeit at an extra $500 over the 512GB option. Likewise, both devices pack in 4 or 8GB of RAM, but the Surface also supports a 16GB option for a $200 premium. It’s important to note that the MateBook is fanless, which also means a lower throttling threshold than the Surface Pro 4, which packs in active cooling. These aren’t options that every user is going to need, but if they matter to you, there’s only one tablet that offers them. 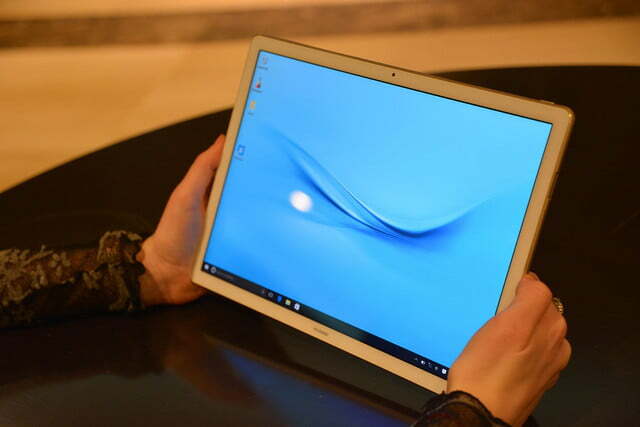 To say the Huawei resembles the iPad is an understatement. Its curved edges, color selection, and button placement are all reminiscent of the Apple design, although it manages to slim down to an impressive quarter-inch thick. The Surface Pro 4 isn’t much larger, adding about a half inch to its width and height, but only raises the thickness to one third of an inch. While it’s tough to say whether anyone will notice the pound weight difference, neither device is heavy enough to cause sore arms, even with extended use. While both systems have almost identical footprints, there are some design differences worth noting. 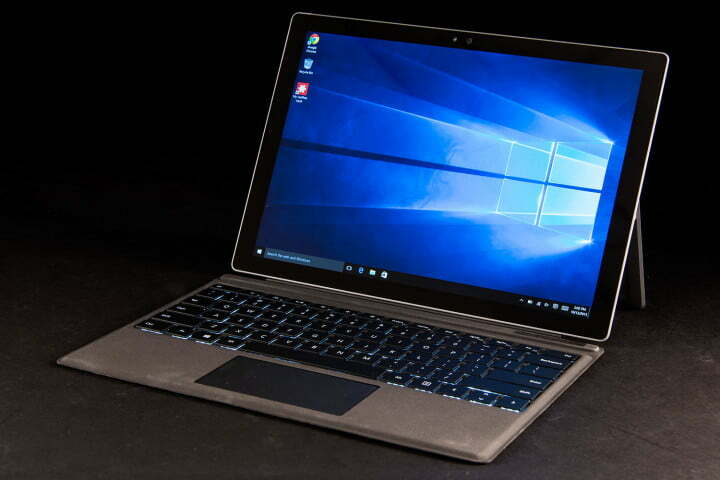 The Surface Pro 4 is cast in magnesium, while the MateBook’s chassis is built from aluminum. While magnesium tends to be lighter, helping the Surface Pro 4 stay trim despite its heftier components, it also tends to bend easier than aluminum, and isn’t as efficient at dissipating heat. That being said, the MateBook’s fanless design is a choice that means both more aggressive throttling, and a risk of heat buildup. The means of supporting the display is another clear difference. The Surface Pro 4 has a kickstand which flips out of the back of the system. It’s versatile, yet compact. 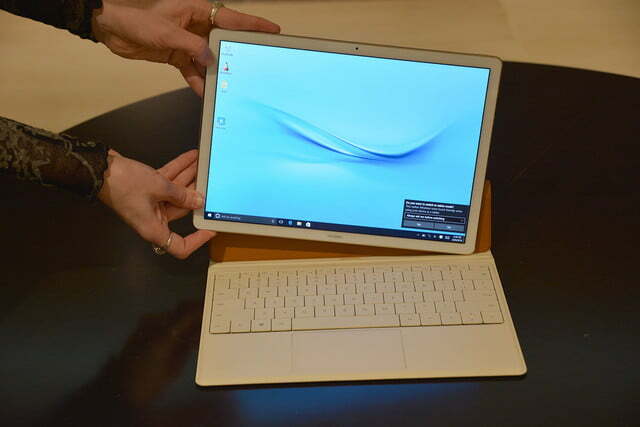 Huawei has gone for a keyboard cover with folding cover instead. That takes up more desk space, and isn’t quite as secure. There’s a clear winner when it comes to displays. Not only does the Surface Pro 4 boast a higher-resolution display than the MateBook, but it also scores high marks in all of our benchmarks, save color accuracy. Granted, we haven’t tested the MateBook’s display in a controlled environment yet, but it would have to be an impressive showing to overcome Microsoft’s excellent PixelSense display. And the Matebook’s lower pixel count puts it at an immediate disadvantage. Ultimately, Huawei makes some compromises for the sake of a slightly smaller footprint that may harm the MateBook’s performance in the long run. 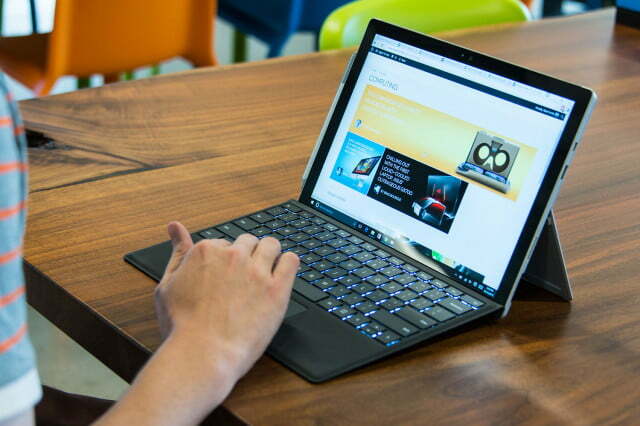 The Surface Pro 4, on the other hand, boasts a refined design, with no compromises, even in the most basic configuration. It’s easy enough to compare the base models of both devices. Both pair a Core m processor with 4GB of RAM, plus 128GB of SSD storage, although the m7 in the MateBook outpaces the m3 in the base Surface Pro. For that model, Microsoft charges $800, $100 more than the base price of the MateBook. The base configuration is the MateBook’s best shot at value, but it suffers a larger issue that it never ditches the Core m processor for something more substantial. The Huawei MateBook packs in 8GB of RAM and a 512GB SSD in its most tricked-out setup. That configuration will cost you $1,600, which, while far from the cost of a top-end Surface Pro 4, represents a reasonable configuration. 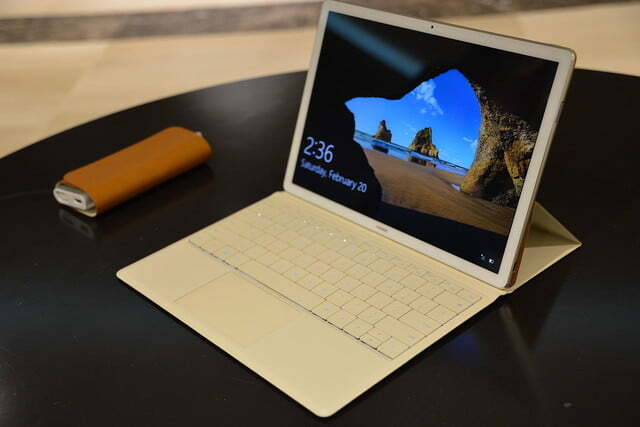 A similar priced Surface Pr o4 also has 8GB of RAM and a 512GB SSD, but adds in the full power of an i5 chip. It’s worth noting that the Surface Pro 4 includes a stylus in its cost, while Huawei charges an extra $60 for the add-on. Neither device includes a keyboard, and both brands charge $130 for that privilege. Ultimately, the Matebook looks like a better deal in base configuration, but it quickly loses that advantage as options are added. The mid-range and high-end versions arguably lose to the Surface Pro 4 due to their continued use of Core M, instead of Core i5 or i7, and fact the stylus isn’t included. If the base model is the only option in your price range, the MateBook is worth a look, as it edges out the Surface Pro 4 in performance and size. But as the cost grows, so does the Surface Pro 4’s advantage. The Core m quickly turns to an i5, while all of the other specs remain on par. The bundled stylus is a nice touch from Microsoft, as users will either want a stylus or a keyboard and mouse combo to pair with the device. Huawei’s MateBook is a new competitor, and its specific strengths and weaknesses will be revealed when it goes through our full review process. For now, the tried and true Surface Pro line still presents better performance, stronger design, and a better value, at least on paper.